Danilo Doncic was born in Varrje Jugoslavia on the 20th March 1969. Danilo started his football career as a midfielder but coaches changed his position into that of a striker. He started his career with F.K. Beograd in 1982 at the age of 13. 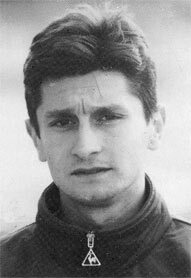 In 1989 he joined Rudar and in 1990 he played with Nadrcdak. In 1992 he signed a contract with Cukaricki, in 1993 he returned back with Beograd. 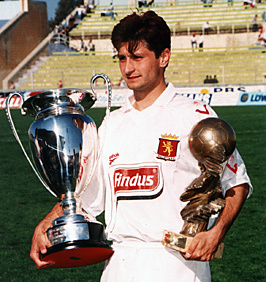 In 1996 Valletta FC were in search of a foreign striker. Valletta FC made contact with Danilo and the serb striker came to Malta for a trial and his trial was a success. In season 1996/1997 Danilo Doncic became the first foreigner top scorer with 32 goals.